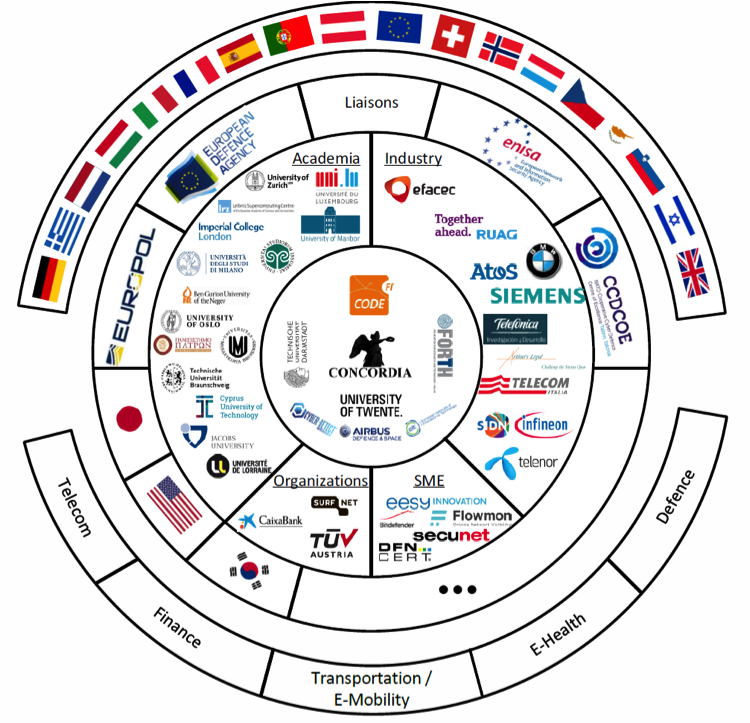 Position the CONCORDIA ecosystem, a Cybersecurity Competence Network with leading research, technology, industrial and public competences to build the European Secure, Resilient and Trusted Ecosystem, with the CODE research centre as coordinator and hub, and ENISA as secretary. Devise a cybersecurity roadmap to identify powerful research paradigms, to do hands-on experimental validation, prototype and solution development in an agile way to quickly identify successfully but also unsuccessful potential product development. Identify marketable solutions and grow pioneering techniques toward fully developing their transformative potential. Establish a European Education Ecosystem for Cybersecurity. Provide expertise to European policymakers and industry.